After Aaron earned his Doctor of Pharmacy from the University of Maryland, there was no doubt in his mind that his life mission was to continue his family’s legacy to help people realize their potential. As CEO of G&W Laboratories, Aaron has re-energized the nearly century-old company to expand its own potential to help those in need. He has led the company’s entrance into new markets, extended its reach, diversified its product portfolio, grown its revenues dramatically, and built world-class teams—enabling G&W to touch the lives of more patients than ever. But in today’s healthcare landscape of high costs and lack of transparency, Aaron again realizes the need to lead the effort to push for critical change—change that encourages the market to reward innovation and value creation that improve the quality of life for all, rather than value extraction, which benefits only the few and ultimately hurts us all. At Flipt, Aaron is determined to finally give people the choices and power they need to make medication decisions that impact their health and wellbeing, so that they, too, can realize their potential. While many leaders excel in just one field, Amrish is at his best taking on complex challenges that intersect the ever-changing worlds of technology, operations, and marketing. This is why he’s the perfect fit for Flipt, where he oversees customer business operations, including customer experience, product development, client implementation, and partner integrations. Amrish’s experience in strategy, marketing, customer acquisition, and operations proved integral to the success of several high-profile, rapid scale projects at Microsoft, and most recently in the launch of Amazon Flex, which redefined the operations behind customers receiving ultra fast deliveries at their doorsteps. With Amrish responsible for day-to-day decision making and operations at Flipt, our corporate clients and their employees can rest assured that they have an advocate who will ensure they receive the highest quality service to exceed their expectations in the new age of modern prescription benefits. Growing a successful business doesn’t simply end with a sales pitch and a contract. If there’s anyone who truly understands this, it’s Tom. As senior vice president of the Strategic Accounts segment of UnitedHealthcare for half a decade, Tom developed and maintained relationships with 67 of the largest, most complex clients of the firm. By making the effort to understand the unique needs of his customers, Tom transformed the group’s approach to account management and implemented innovative solutions that made a marked difference in the provision of health benefits to companies across the US. At Flipt, Tom believes that this focus on ensuring high client satisfaction is equally important to growing new business as it is to retaining existing business. In addition to introducing Flipt to prospective clients, it is Tom’s goal to understand and address the ongoing, dynamic needs of organizations that make Flipt their prescription benefit of choice. Previously, Tom served as president of the Global Health and Benefits business of Mercer, where he improved sales effectiveness and client retention while significantly growing revenues and contribution margin. He also held leadership positions in a variety of other industries, as president of Global Commerical Industries at UNISYS and executive managing partner and a member of the Global Board of Partners at the former Arthur Andersen. 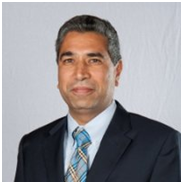 Hemant has successfully led and strengthened cutting-edge IT departments at companies large and small, including Teva Pharmaceuticals, HCL Axon, KCI Medical, and IBM. But what makes Hemant unique is his approach in paying as much attention to the practical, human use of IT as he does to technology itself. He takes great pride in leading teams to make processes more efficient, to establish consistency across information systems, and to encourage partnership among people in various capacities. Naturally, Hemant’s personal and professional perspective of IT as a means to help solve problems and produce results aligns directly with Flipt’s mission to put ownership of prescription choices at the fingertips of individuals, literally with a thumb swipe on the Flipt App. With passion and skill for translating analytics into opportunities for improvement, Lev has introduced bold strategies for growth in a range of businesses, including TE Connectivity, Itochu International, and Checkpoint Systems, where he was head of mergers and acquisitions. 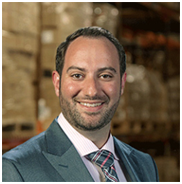 While working in the pharmaceutical industry, however, Lev’s penchant for pouring over numbers ultimately revealed one of the biggest inefficiencies of all: in the pharmaceutical supply chain. Lev brings to Flipt the assurance that when members pull up their prescriptions in the Flipt App, their options are transparent and accurate, driven by data that reflect all possible opportunities to get the best price and savings. Linda earned her title, numerous times, as one of the most powerful women in banking. During her tenure as head of service strategy at TD Bank, she introduced a customer-centric corporate culture that transformed the banking experience from mundane and transactional to interactive and engaging. Linda also led the strategic growth of TD’s retail operations, and held management positions in HR, sales, and account management with industry-leading companies. She brings expertise in organizational transformation and customer service, helping both employers and employees fully realize the benefits of Flipt.